It was forcasted to reach above 30 degrees today! So obviously that means all the ice has melted and I can go for a run right?! Well….ok. 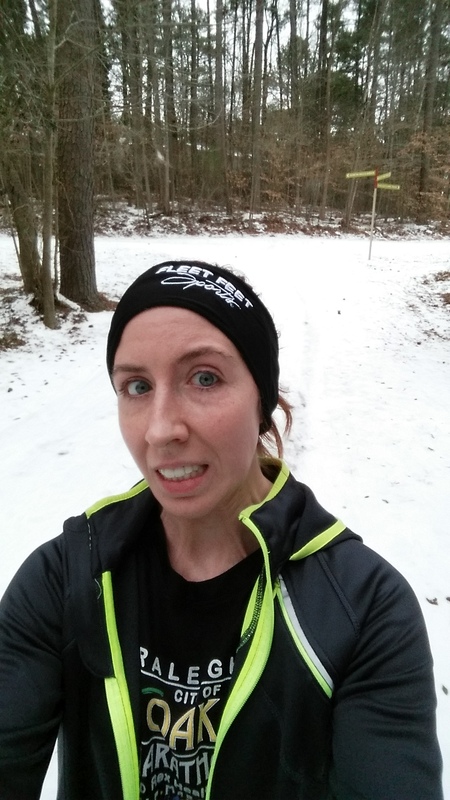 First ‘mistake’ was deciding to run while it was still only 25 with a helluva wind chill. 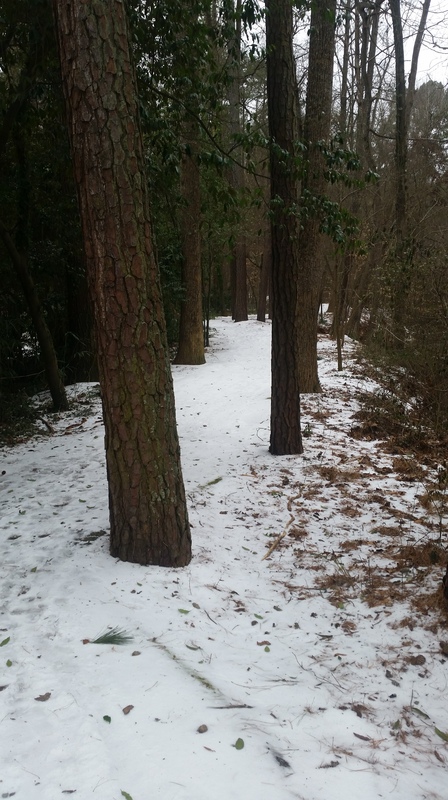 Second ‘mistake’…..forgetting that the greenway is super shady and probably won’t thaw for another week or so. 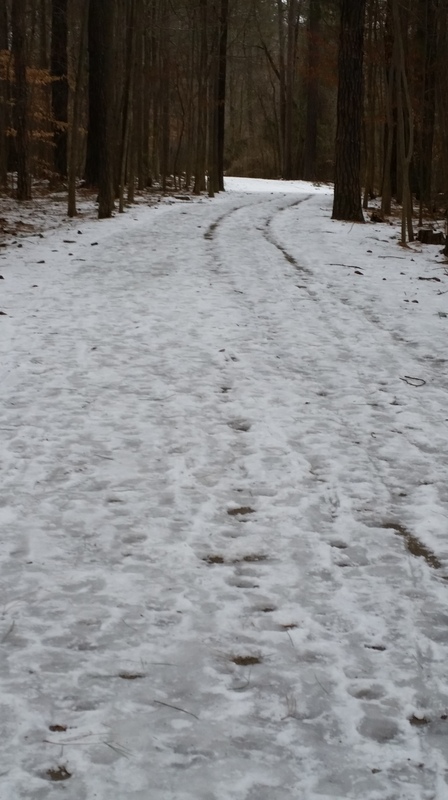 Please note, this is not nice, crunchy, non-slippery snow. This. Is. Ice. 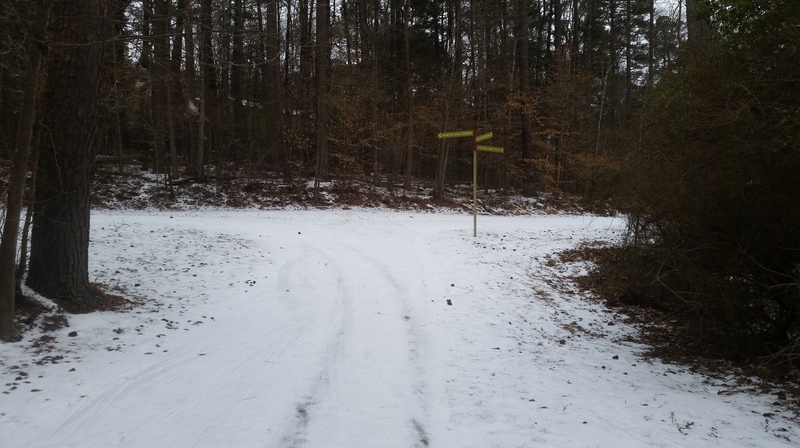 While it may look like the optimal choice of path is in the middle where the tire tracks are….DO NOT BE FOOLED, it is way more slick there since the ice has melted and refrozen a couple times. was a total surprise!! Those are GEESE on the water. THEY ARE WALKING ON THE WATER. THEY ARE JESUS GEESE. ALL HAIL THE JESUS GEESE!!! 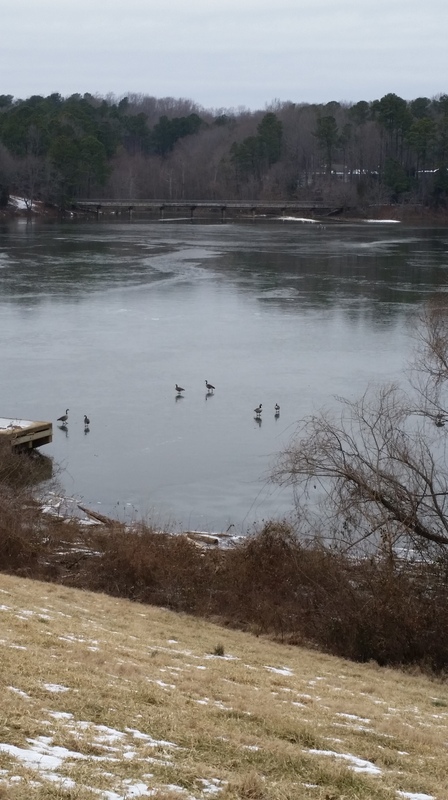 You should take careful note of the geese’s newfound ability to walk on water. These creatures are pure evil. ANY new skill they acquire is bad news for us mere humans. You have been warned. 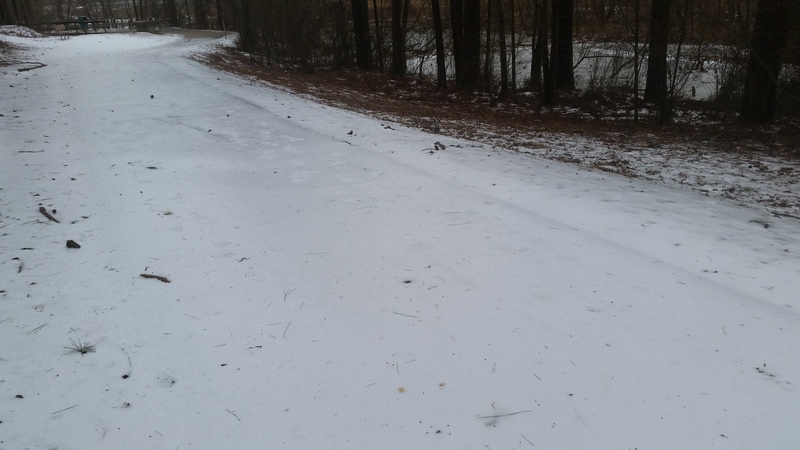 Like I was saying, seeing ice on the ground in Raleigh that has been there since Tuesday is kinda weird. And extremely slippery. Note how I feel about the ice. This is where I fell. The only time I fell. Imagine a cartoon character literally slipping and falling in the most hilarious way and that’s probably what I looked like. This was the most treacherous part of the run. Because this was solid ice. No footprints to break it up. No tire tracks. A solid sheet of continuous ice. Like at an ice rink. Only you don’t have skates. You have running shoes. Without spikes. And you’re trying to run like a penguin only to fall head over heels and almost end up in the frozen lake. This was the last, long stretch of evil on the run. Me finishing said stretch of evil without falling! The remainder of the run wasn’t bad. All in all, I did 4.3 miles in about 46 min. This includes stopping for pictures and falling and waddling on scary ice. When I wasn’t on ice I had about an 8:00 pace. 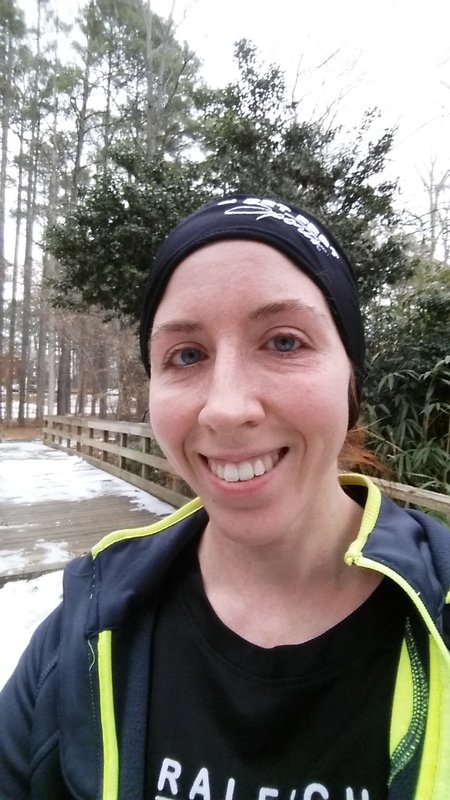 On the ice…whilst running like a penguin, I slowed to about a 10:30 pace. Let’s hope it finishes melting soon!